From Shinto shrines and Buddhist gardens to the images of Hiroshige and Mariko Mori. Begin your journey to Japan here. Kofun are large, mound tombs, and the source of much of the art of this early period. 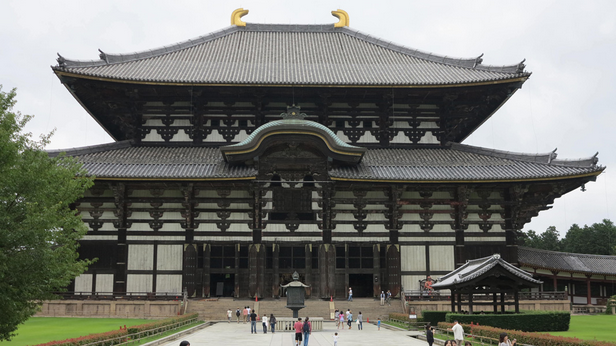 During this short period, the Japanese court established its first permanent capital, and adopted Buddhism as its official religion. The Kamakura period marked the beginning of feudal Japan and the samurai caste. This period of intense social and political conflict gave rise to innovative artistic traditions. Even within this strict feudal system, Japan saw the rise of arts that catered to merchants and intellectuals. Japanese artists are still responding to their artistic traditions, but now using the techniques of the modern world. From Buddhist temples to woodblock prints, ceramics to scrolls.